How long does it take to receive an FHA loan? Everybody knows that not everyone becomes successful in getting a traditional loan. There are many reasons behind it including the long, complicated process, high-interest rates, and other requirements. A person who is in desperate need of money to purchase a new house cannot bear the difficulties that arise in the process of obtaining traditional loans. He may not have enough money to pay as down payment. When you do not have an impressive credit history, the lender may refuse to give a loan. Well, they need to ensure that they will get their money back with some interest. So consider acquiring the FHA loans that allow the borrower to purchase a house with low down payments. Also, the process of getting approval for the loan is not that complicated. Above all, FHA insured the lender against the loss so the borrowers with a bad credit history can also obtain FHA home mortgage. You are applying for FHA loan so the process can be windy and long. But it is less complicated than the traditional loan process. Before you start hunting for a house, the FHA approved lender will review your financial situations. He will determine that whether you are eligible to apply for the mortgage loan or not. If the lender is satisfied with your credit history, then he will provide a pre-approval letter to you which will be helpful in buying the house you like. If you have found the house of your choice then comes the second stage where you have to fill the standard loan application. This step takes some time as you have to provide information about many things in the application form. Also, you have to write the address of the house you want to buy. However, if you have not found the house yet then leave the address bar blank. The lender will hire a licensed property appraisal to know the real market value of the property you want to buy. Then comes the most important step of the process of FHA loan approval. In this step, the lender will review all the documents and details provided by you to check that whether the loan is sound or not. If there is nothing serious at this step, you will obtain the loan. But if the lender finds some issues, then it could be the end of the process. 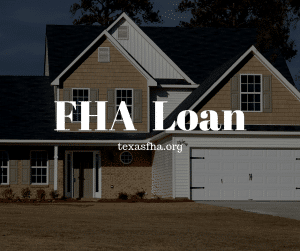 When the lender becomes satisfied with the fact that you have followed the guidelines set by the federal housing administration you move towards the closing. There are many rules and regulations set by the federal housing administration, and both the borrower and lender have to follow them. So, it is quite difficult to assign the exact length of time to the process. You may find the home soon, or it may take even months to find the perfect house. If you find the house first and then apply for FHA loan, it would be better because the seller will be more inclined to accept the offer. So that was the FHA loan approval process. It was a bit simple than the conventional loan process. But of course, there are also some rules the borrower needs to follow, and it takes time to get the loan approved.